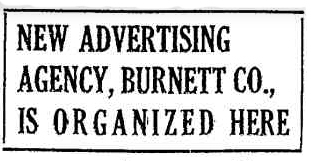 Formation of a new advertising agency known as the Burnett Company, Inc., with offices at 360 North Michigan Avenue, was announced yesterday. Leo Burnett, former vice president of Erwin Wasey & Co., Inc., is the company’s president and treasurer. Burnett began his career as advertising manager of the Cadillac Motor Car company in 1916. After serving in the United States Navy during the war, he accepted the executive advertising post of the Lafayette Motors Company and later became vice president of the Homer McKee Advertising agency at Indianapolis, Ind. In January, 1931, he was named vice president in charge of all creative workin the Chicago office of the Wasey Company. Other members of the new agency are: Vice president and art director, John W. Jennings, former partner of Graumann-Jennings studios of Chicago, and lately art director of the Wasey Company; Jack O’Keefe, formerly with the Wasey Company; Joseph T. Ainley, former production man for the National Broadcasting Company, the Columbian Broadcasting System and director of radio for Erwin Wasey, John Olson, Margaret Stevens, and John W. Riley, all formerly with the Wasey Company. Leo Burnett Company, large Chicago advertising agency, is deep in the job of moving lock, stock, and barrel—from London Guarantee Building, to the new Prudential Building where it becomes the largest tenant. The move began at the close of Business Friday. By next Thursday morning the entire agency, including a staff of 650 persons, will be in place in the company’s new home. In its present quarters the agency has been spread over all or parts of 11 floors, whereas at the Prudential it will occupy five full floors, the 11th thru 15th. Reebie Storage and Moving Company is doing the moving, its vans using both levels of Wacker Drive for the four block trek. We studied traffic flow, so as to keep together departments that belong together, such as copy and art, service and production.And we have provided the very latest in equipment—all the way from modern studios for making our own experimental TV films to a pneumatic tube system, connecting all five floors, to speed intra-office delivery of messages. We’ve even wired for closed circuit TV. The 11th floor will house media and research department and library; 12th floor, production service, purchasing, accounting, and transportation, and 13th, a studio with a kitchen-layndry for testing food and appliance advertising, a conference room, projection room, film storage library, and other facilities. Most of the management executives will have their offices on the 15th floor, together with account executives and account supervisors. On the 14th floor are two conference rooms, equipped for film projection and marketing, copy, and art departments. The Burnett lease covers 96,340 square feet of office space and 1,130 square feet of storage space, making it one of Chicago’s largest office leasing transactions. Negotiations were handled by Leo J. Sheridan, chairman of L. J. Sheridan & Co., and Lydon H. Lesch, Sheridan firm vice president. 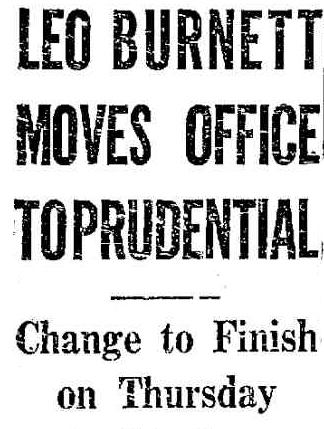 1935– Leo Burnett resigns as VP of Erwin, Wasey & Co., then Chicago’s largest ad agency, to open his own shop, setting up temporary quarters Aug. 5 in the Palmer House hotel, then moving to the London Guarantee Building. Initial clients: Realsilk Hosiery, Hoover and Minnesota Valley Canning Co. Leo is president and treasurer of the agency. 1936-Total billings for the first year are $600,000-$300,000 below projections. 1938-The agency gains six new clients, including Pure Oil Co. (which later merges with Union Oil Co.) and Brown Shoe Co., which will remain a client for 35 years. 1939-The agency expands, taking over a full floor of the London Guarantee Building, 360 N. Michigan Ave., and lands its first $1 million-plus account, the American Meat Institute, the next year. 1941-The agency opens an office in New York’s Rockefeller Center. 1942-Burnett wins the Santa Fe Railway account, later creating Chico, a Navajo boy who becomes the railroad’s mascot and a virtual second trademark. Leo Burnett is elected a director of the War Advertising Council, forerunner of today’s Advertising Council. The agency’s first assignment for the war effort is to spearhead the Scrap Drive. 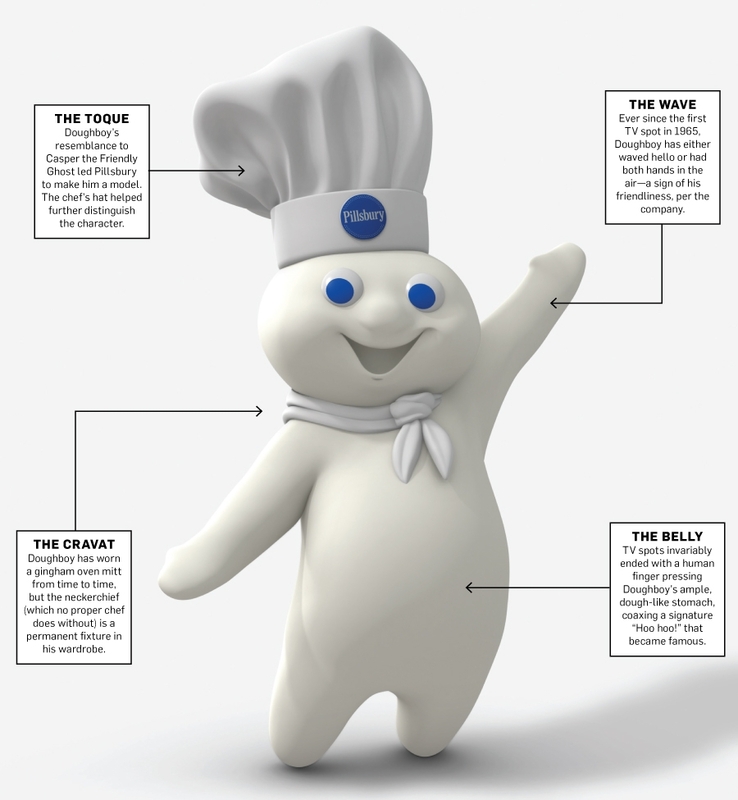 1944-Burnett lands Pillsbury Mills’ Farina account, and within a few months the agency also is awarded several baking mix products from the company. 1945-Billings exceed $7 million, and company stock is made available to employees. Bill Wedell joins the agency as head of the Broadcast Department and is charged with bridging the gap between radio and early TV. 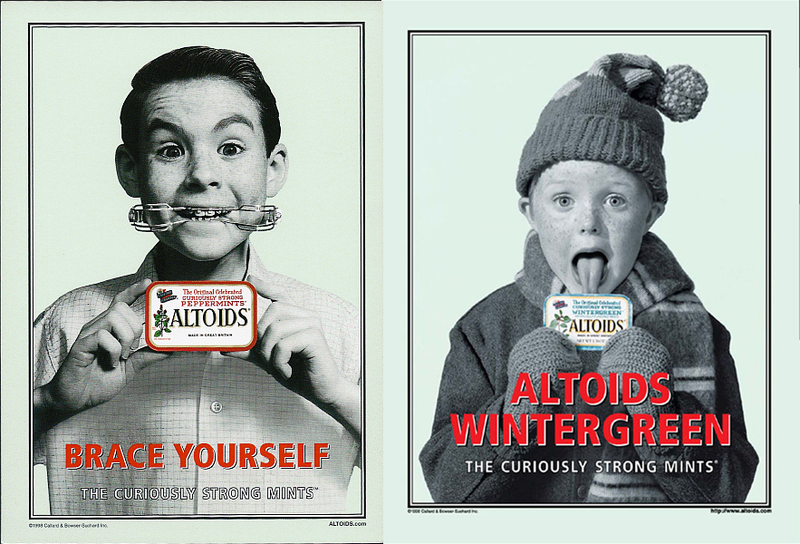 1947-Billings pass the $10 million mark, and the agency ranks 26th in Advertising Age’s U.S. agency listing. 1949-Kellogg joins the client list, assigning the agency its Corn Soya account. The first Burnett-produced TV show, “At Our House,” is launched for Hoover. 1950-Procter & Gamble becomes a client, assigning the agency a PR campaign to inform the public about P&G’s research and testing capabilities. Also, Minnesota Valley Canning pays tribute to its Burnett-created advertising by changing the company name to Green Giant. 1951-Tony the Tiger is created to growl about Kellogg’s Frosted Flakes. 1952-The agency establishes its first international office, in Canada, primarily at Kellogg’s request. 1953-Burnett gets its first product assignment from P&G-Lava soap. 1954-The Marlboro account from Philip Morris is won by the agency, now the eighth-largest in the U.S. with $50 million in billings and 540 employees. 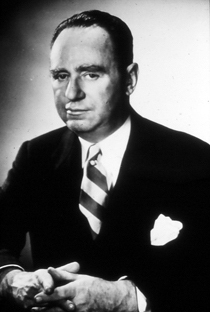 1955-After 20 years, Leo Burnett gets his first promotion and is named chairman. The first Marlboro man, a cowboy, appears in advertising, positioning the cigarette as having a strong, masculine flavor. 1956-The agency moves into Chicago’s newest skyscraper, the Prudential Building, occupying five floors. 1957-Allstate Insurance joins the client list. 1958-The agency reaches $100 million in billings and reels in the Star-Kist account. 1961-Ed Thiele is named president of the agency, which adds the Schlitz beer and Union Carbide accounts during the year. 1962-Chrysler business (added in 1958) is lost, and the Detroit office is closed. The agency buys a small agency in London. 1965-United Airlines assigns its passenger business to the agency. Total billings reach $174 million, making Burnett the world’s sixth-largest agency. 1967-Leo Burnett retires from active management, selling his stock control back to the agency and assuming the title founder-chairman. Phillip Schaff is named chairman-CEO. Burnett reestablishes a Detroit presence with the acquisition of the D.B. Brother agency, gaining Brother’s Oldsmobile account in the process. 1969-The Dewars “Profile” campaign is created, with actor Jerry Orbach as the first subject. Ed Thiele becomes vice-chairman and Len Matthews is named president. Burnett purchases London Press Exchange’s international agency network, with 24 offices in 19 countries. 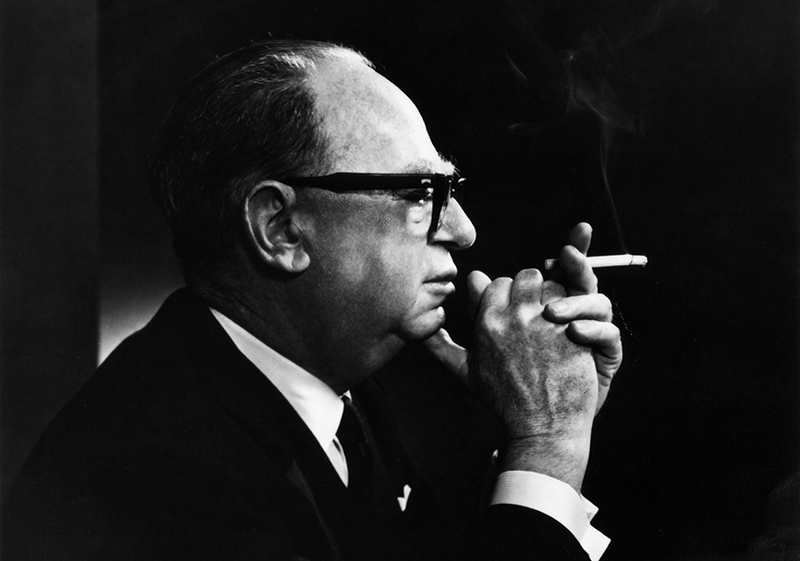 1971-On June 7, after putting in a full day at the office, Leo Burnett, 79, dies at his suburban Chicago home. 1973-Leo Burnett Co. becomes the parent for Leo Burnett USA and Leo Burnett International. 1975-Billings hit $400 million as the agency ranks as the world’s fourth-largest. 1978-Jack Kopp, CEO since 1976, is named chairman; billings reach $600 million. 1981-Burnett wins the McDonald’s account. The agency enters the Middle East, forming a joint venture with H&CC Sarl Advertising, with offices in Saudi Arabia and Lebanon. Burnett also adds offices in Argentina, Chile, the Dominican Republic, Panama and Greece. 1984-John Kinsella becomes chairman-CEO of Leo Burnett Co. With U.S. billings of $1.116 billion, Burnett becomes the first domestic agency to exceed the $1 billion mark. 1985-Norm Muse becomes chairman of Leo Burnett Co., while John Kinsella retains the title CEO and adds president. The agency wins the 7UP and Diet 7UP business. 1986-Hall (Cap) Adams is named chairman-CEO and Rick Fizdale president-chief creative officer of Leo Burnett Co.
1988-Hallmark becomes a Burnett client. The agency wins an unprecedented three Gold Lions at the International Advertising Festival in Cannes. 1989-The agency moves into the new, 48-story Leo Burnett Building in downtown Chicago. 1991-Burnett gets the Miller Lite beer, Nintendo of America and Beef Industry Council accounts. The agency opens offices in Budapest, Prague and Warsaw. 1992-Fruit of the Loom joins the account list. 1994-New accounts include Arthur Andersen & Co., True Value Hardware Stores, Walt Disney World, Ameritech and J.M. Smucker. Also, Burnett opens offices in Shanghai and Beijing. 1995-Billings reach $1.868 billion worldwide. Burnett wins Coca-Cola Co. business-its Fruitopia drink. The agency enters the Russian market with the incorporation of Leo Burnett-Moradpour in Moscow. Leo Burnett, one of the giants of American advertising, died last night, apparently of a heart attack, in his countyry estate near Lake Zurich. He was 79. The Chicago-based agency bearing his name, which he founded in 1935, has become the fourth largest in the country and the fifth largest in the world with annual international billings of $387 million. With 39 worldwide branch offices, Leo Burnett Co., Inc., employs more than 3,000 persons. It occupies six floors of the Prudential Building. Mr. Burnett was known for writing some exceptional ads throughout his many years in the business. He recently had worked four days a week even tho he was in his seventies, primarily writing ads to promote the agency itself. The city’s largest advertising agency, the firm is probably best known for its famous Marlboro cigaret ads. When the agency took over the Marlboro account, the cigaret appealed to women. The agency developed Marlboro as a symbol of male virility thru a strenuous campaign. Today the company still retains its first client, the Giant Green Giant Co. of Le Sueur, Minn., for whom it created the Jolly Green Giant. In his early days, Mr. Burnett worked as a reported for the Peoria Journal, but left for the advertising business because of a cantankerous city editor and the lure of more money, he once confessed. In my book, there is no taste or aroma like bread and butter. He was a director of the Better Business Bureau and a trustee of the American Heritage Foundation. In 1963 he received the distinguished service award in journalism from the University of Missouri and the same year he was given the Business Statesmanship Award of the Harvard Business School Association. A 1914 graduate of the University of Michigan, Mr. Burnett married the former Naomi Geddes in 1918. He is survived by his widow; two sons, Peter and Joseph; and a daughter, Phoebe. He was a director and former chairman of the Advertising Council, and took an active interest in their activities. As of July 1, I will be stepping down, but not out, with a new title. This implies that I should start growing some Smith Brothers-type whiskers, but I expect to shave regularly and to remain fully active within the outer limits of my new status until senility clearly makes me either an old nuisance or a bench warmer. 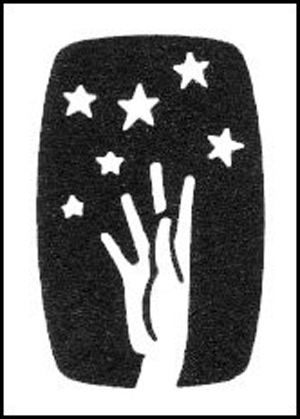 We adapted as our symbol a hand reaching for a clump of stars. There’s something about a good product that’s pure gold if you get down to it. And that is what should be told to fathers, mothers, husbands, wives, children and aunts. That’s what you have to reach to the stars about. Leo wrote it down and this became the official explanation forever. He also never forget the name of the person who said it. This quote is often contributed to Leo Burnett. 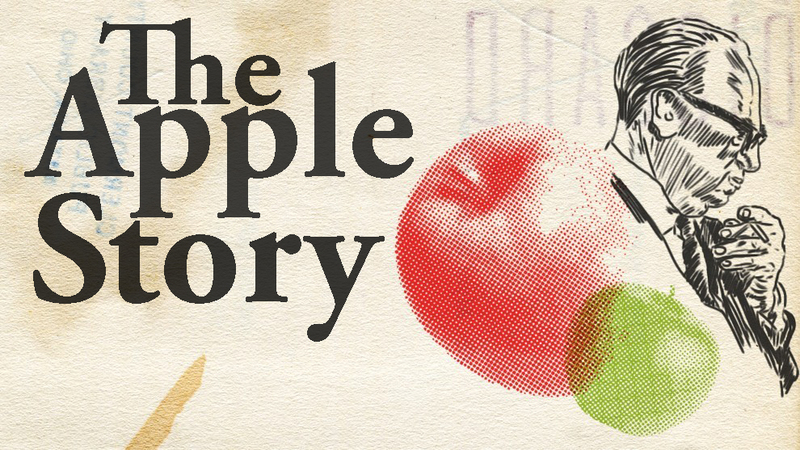 Apples have been saying “welcome” to Leo Burnett Company visitors since August 5, 1935. On that hot day in the middle of the Depression, supreme optimist Leo Burnett and eight associates opened the doors of their newly-formed advertising agency for the first time. To brighten up the place, the receptionist set put a bowl of apples. Leo was right. From these beginnings, when our entire office staff could sit comfortably around a table, and three accounts made up our client list, the Leo Burnett Companies today comprise one of the world’s largest advertising organizations. And the apples have been on our desks every day. We still offer them to every visitor, and our employees as well. In the last ten years, our Chicago headquarters alone gave away more than two million of them. Currently we give away more than a thousand each working day. Our offices around the world also follow this tradition. So, have an apple on us. We hope it gives you ample food for thought.